The Provincial Archives of Alberta (PAA) is on a mission to collect 150 pounds of food for Edmonton’s Food Bank. 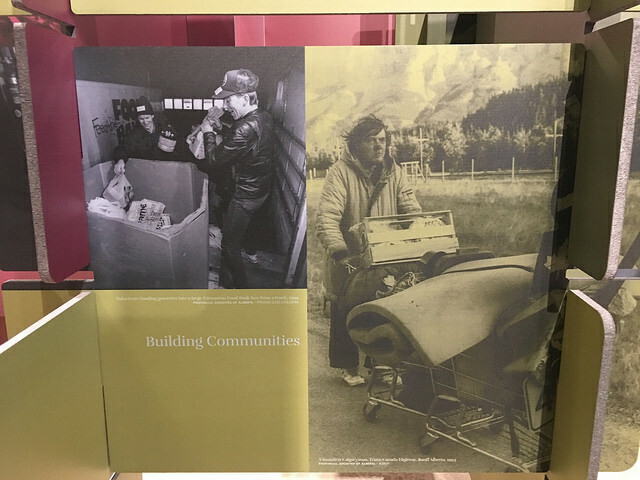 Beginning today, Albertans are invited to drop off non-perishable food items when they visit the PAA’s latest free exhibit at 8555 Roper Rd, Edmongon 8555 Roper Road, Edmonton, 150 Firsts: How Alberta Changed Canada…Forever, which highlights Canadian firsts achieved by Albertans. This initiative will help benefit the Edmonton Food Bank, which serves more than 20,000 people per month through the hamper program, with 40 per cent of these recipients children under the age of 18. The exhibit includes information on various firsts, such as Calgary being the first Canadian city to host a Winter Olympics in 1988 and the construction of Canada’s first UFO landing pad in St. Paul in 1967. Also featured is the Edmonton Gleaners Association which established the first food bank in Canada in 1981 – now known as the Edmonton Food Bank. The PAA is honouring this first by giving back to the community. “The Provincial Archives of Alberta is the keeper of our history and shines a bright light on how our province became the Alberta it is today,” said Ricardo Miranda, minister of Culture and Tourism. Marjorie Bencz, the executive director of the Edmonton Food Bank, said it is proud to be featured as one of the firsts in the 150 Firsts: How Alberta Changed Canada…Forever exhibit.